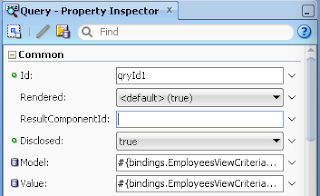 One of the most important topics to research when rewriting legacy Oracle Forms system into Oracle ADF 11g/Oracle Fusion is how to implement CRUD operations in smooth way for the new system. 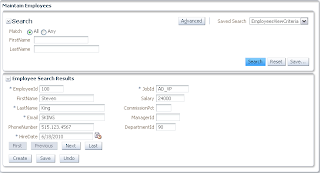 CRUD operations play one of the central roles for Oracle Forms and Oracle ADF applications, because most of the applications implemented with Oracle Forms and Oracle ADF are designed to process/maintain data. 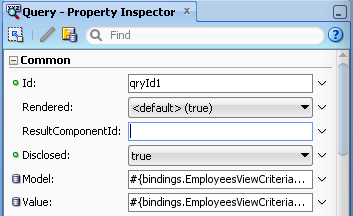 CRUD implementation should be efficient for usability and performance. 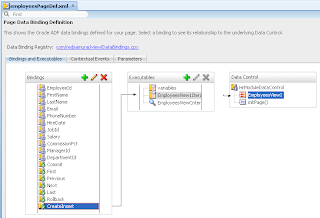 With today post I will provide updated sample application based on old post from 2009 - Oracle ADF Tuning: Preventing SQL Query Execution on Page Load. 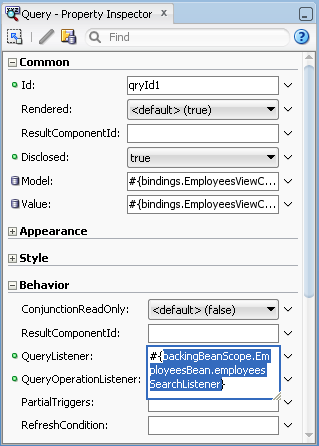 I have improved handling of Rollback operation when executing ADF Query search operation. 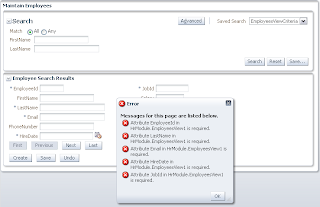 Download sample application - ADFPageOpening_v2.zip. 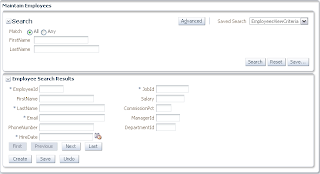 Updated sample application implements all 4 recommendations, it handles 4th recommendation in much better way comparing to original from 2009. With my next posts, I will provide more improvements for CRUD use case implementation - stay tuned. Below is description for current updated sample app. 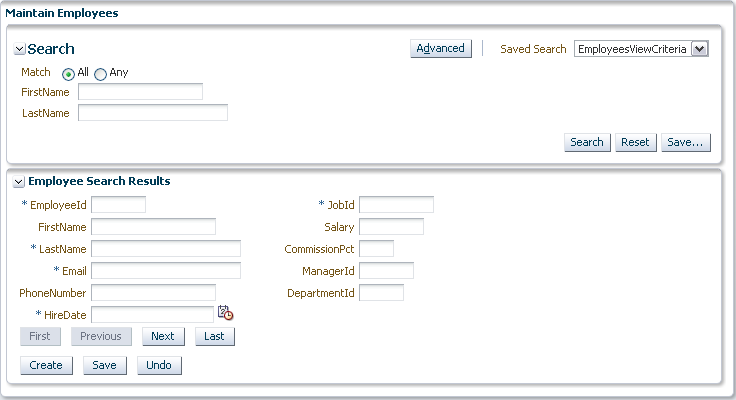 Let's look how we can fix it and implement better user experience for CRUD/Search. There are number of steps to follow how to refactor original application - I will describe now step by step. Refresh for results block will be triggered later - programmatically. Great información Andrejus. Greats from South América ! Grandiosa información Andrejus, Saludos desde Sud América ! Hi again Andrejus, I have a question. ¿ How I can capture the value from a field placed in a af:Query? 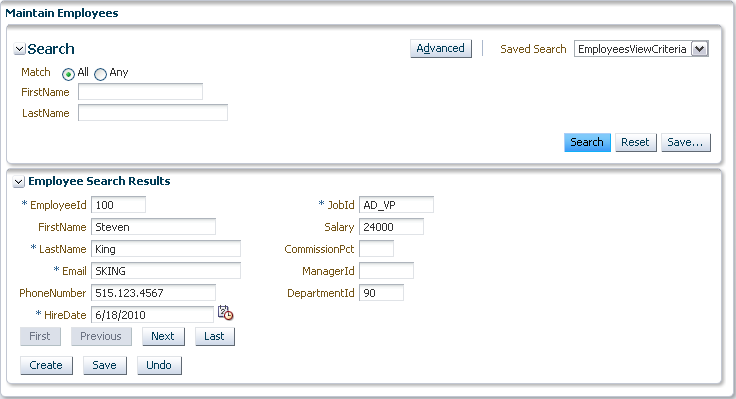 By example : in image 1 ( Query Panel ) I want capture the values from FirtsName and LastName Fields introduced by the user. How I can do it that ? Hi Andrejus. 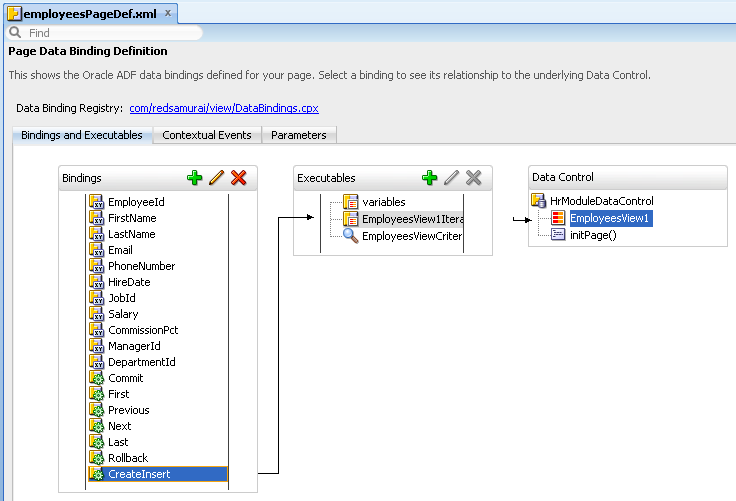 As usual making easier ADF implementation. 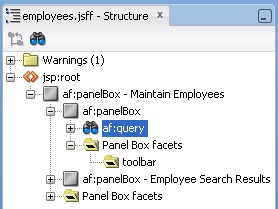 I have the same question: How I can capture the value from a field placed in a af:Query? Thanks Andrejus, it's a good example, but I' wondering if the search also have the Add field choice, should all those fields be based on bind variables too? 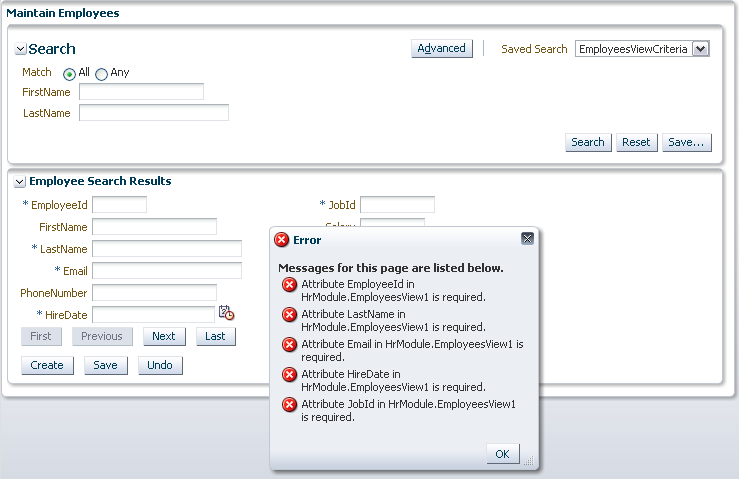 Regarding Add Fields - in most of the cases customers prefer to disable this function, it sometimes just confuses users. Add Fields is dynamic - it will generate system bind variable by ADF for you. Hi Andrejus, you provied a great information about this tool. I have a problem with the databindings.. Sorry for my bad english,.. This tool its seems amazing but its difficult to understand.